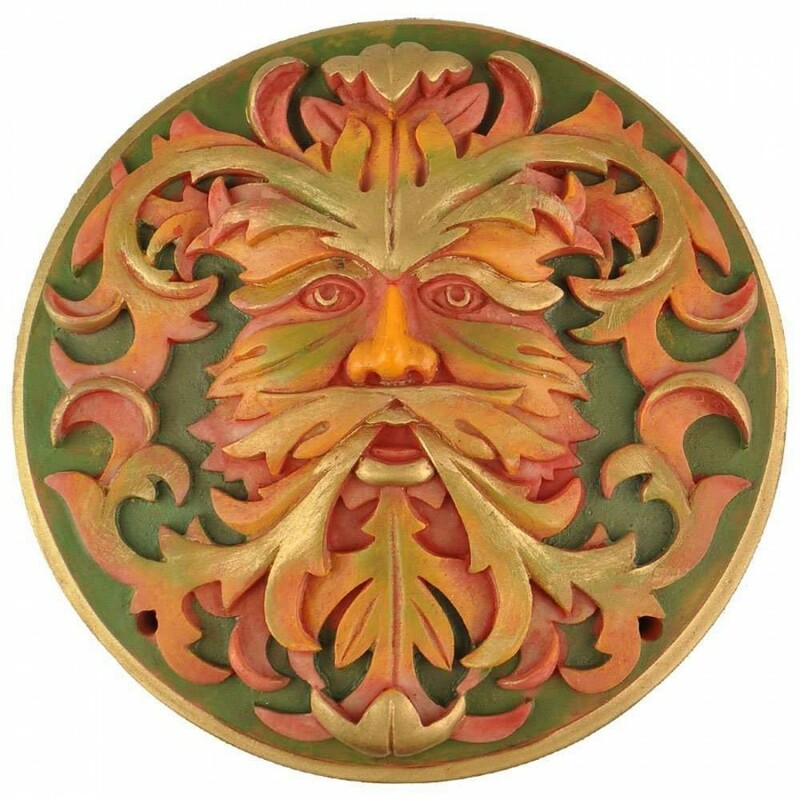 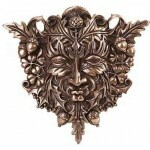 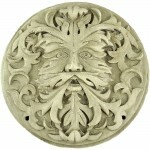 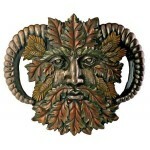 The Green Man, Lord of the Forest and the Seasons here is painted in Autumn colors celebrating the season of transition to winter. 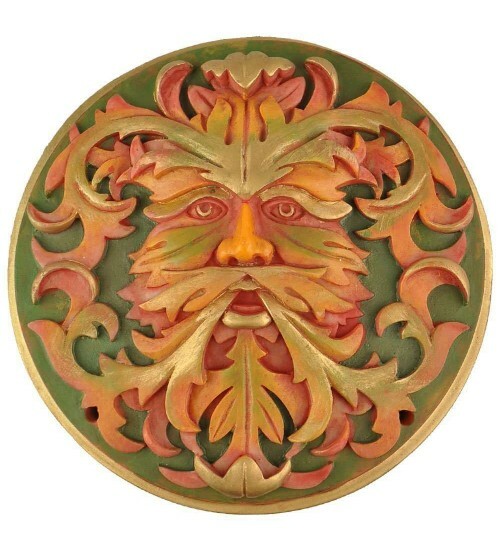 This lovely cast resin plaque is hand painted in autumn colors and 6 inches in diameter. 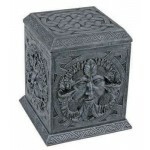 Item Number: MT-GMPQ-A | Approximate Size (Inches): 0.50 wide x 6.00 deep x 6.00 high | Approximate Shipping Weight: 2.00 lbs. 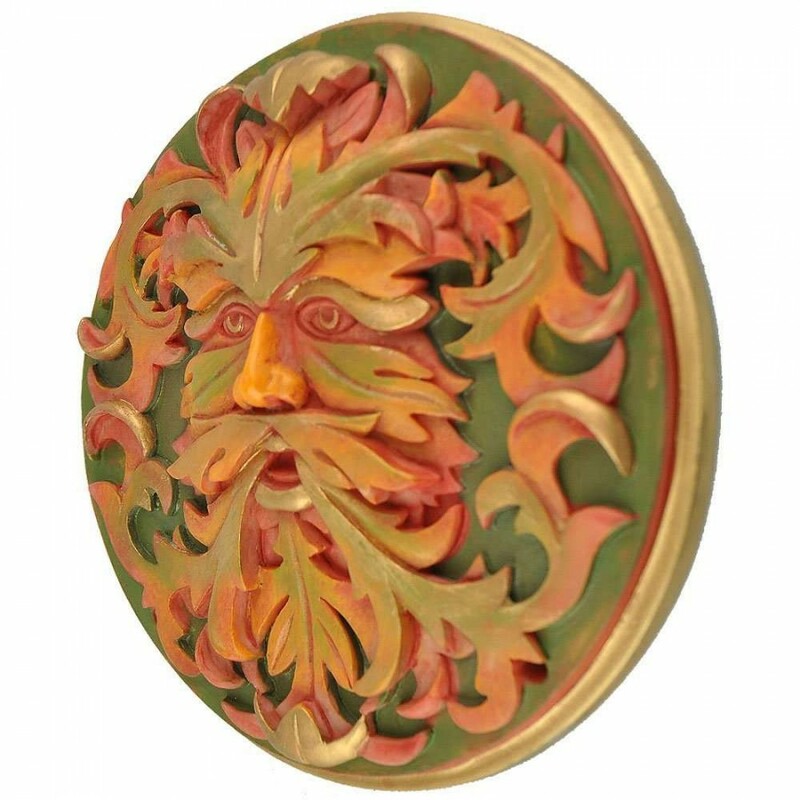 This lovely cast resin box celebrates the seasons and makes a great alta..